Vans, Off The Wall since 1966, proudly announces the return of the House of Vans to Austin from March 11 to 15 at the SXSW Music Festival. 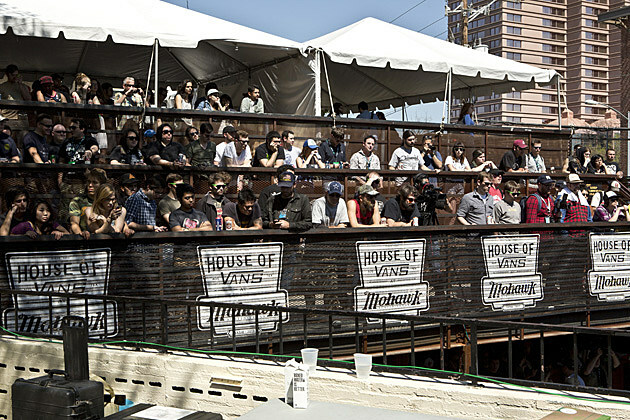 A take-off on the original House of Vans in Brooklyn, NY, the House of Vans at the Mohawk will feature some of the world’s best emerging bands and iconic talent for five days and nights at one of Austin’s most beloved and eclectic music venues – the Mohawk – located in the heart of Austin’s music scene. With afternoon and evening shows daily – curated in partnership with Pitchfork, SpinMedia (SPIN, Stereogum and VIBE), A$AP Mob, The Windish Agency, ATC and Flosstradamus – music fans can expect to experience a range of acts including punk rock, indie, metal and hip-hop.